Island Pilot rendezvous debuts in Cape May, N.J.
in Solomons, Md., Oct. 2-4; U.S. Powerboat Show in Annapolis, Md, Oct.
15-18; and at the Fort Lauderdale International Boat Show, Oct. 29-Nov. 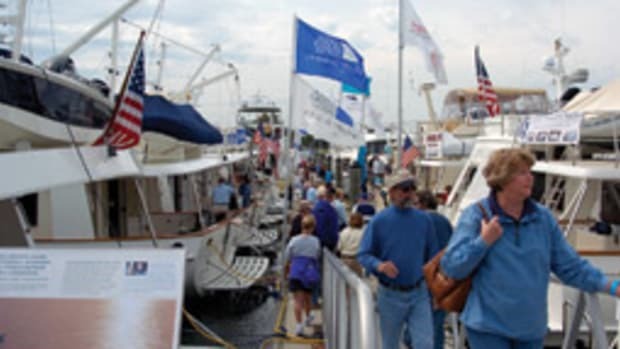 The Hatteras 1510 Club, a boating enthusiasts’ club whose membership is open to all boaters and interested parties, is holding its ninth annual National Rendezvous Sept. 10-13 at National Harbor Marine in National Harbor, Md. 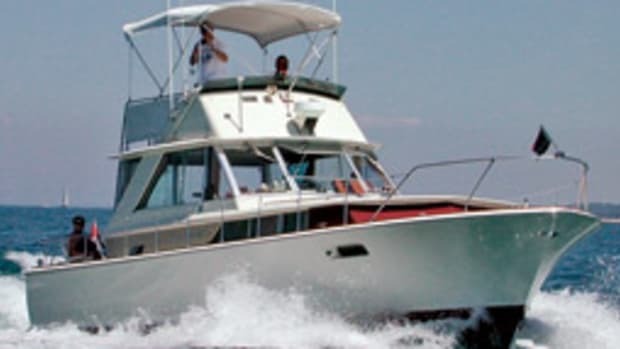 Many members will arrive in their vintage Hatteras Yachts. 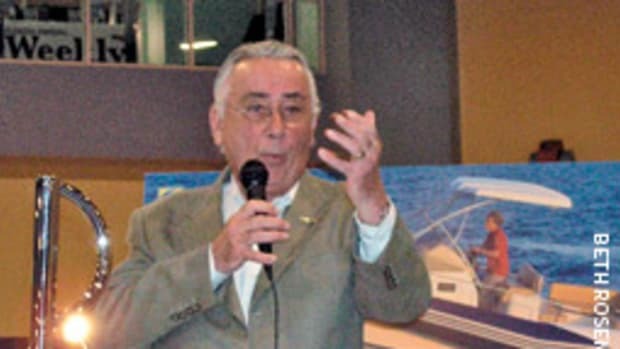 Events include yacht tours, seminars, fellowship, and attendees come from all over the country including N.Y., N.J., Massachusetts, Michigan and Florida. 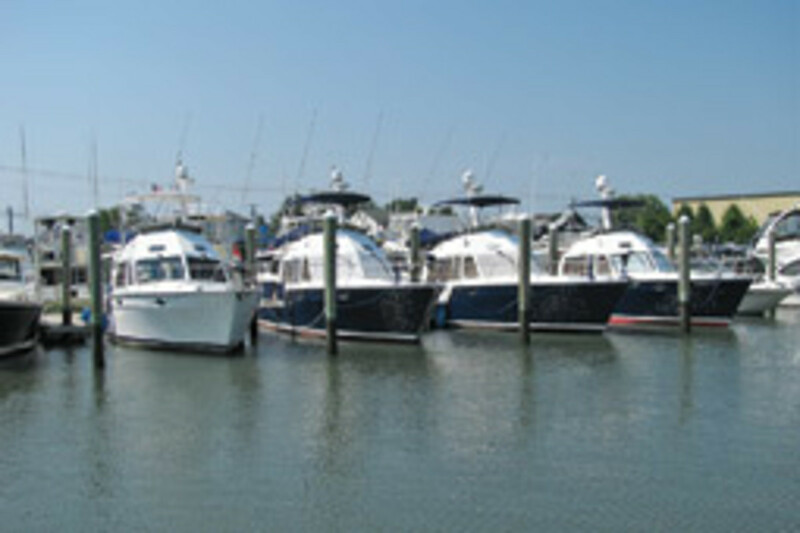 tomrealest@aol.com for info, agenda cost and reservations or go to www.hatteras1510club.com. Maryland Natural Resources Police recently rescued an intoxicated boater founding floating in the water and yelling for help on Deep Creek Lake in Garrett County, Md. Corporal Jeffrey Sweitzer of Maryland NRP was on routine patrol on Deep Creek when he observed a vessel traveling at an estimated 40 knots and passed within 15 feet of a fishing vessel. The weather conditions at this time were overcast with poor visibility. While Cpl. Sweitzer was attempting to follow the vessel, he passed a person in the water who was screaming for help. This person was identified as Michael Patrick McCarthy, 23, of Kensington, Md. McCarthy was picked up about 300 yards from shore and found to be highly intoxicated, disoriented, swimming away from shore and not wearing a life jacket, according to Maryland NRP. McCarthy stated that he had just fallen off a boat. The only boat in sight now was the vessel that Cpl. Sweitzer had been following, now about a half-mile away and could only be observed by the stern light. 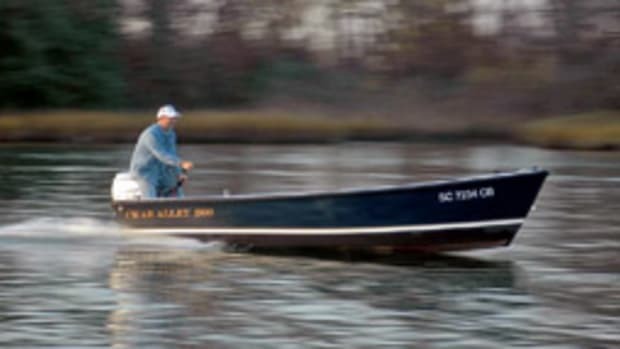 The boat did not show any indication that it was turning around for its occupant. Cpl. Sweitzer and McCarthy later found the vessel on a boat lift and covered for the night at a lakeside residence. The people that were on the boat were within the residence. Cpl. Sweitzer’s investigation revealed that the occupants of the vessel did not realize that McCarthy had fallen off the boat and was missing. Annapolis Mayor Ellen Moyer, Delegates Ron George and Richard Sossi and Secretary John R. Griffin recognize 12 marinas this year that voluntarily adopted best management practices to be certified as Clean Marinas in Maryland. The Clean Marinas receiving the Governor’s Citation were: Annapolis City Dock, Annapolis Maryland Capital Yacht Club, Annapolis Yacht Club Sailing Center, Campbell’s Boatyard at Jack’s Point, Clark’s Landing Marina Center, Gunpowder Neck Boat Club, Mill Creek Marina, Nanticoke Harbor Marina, National Harbor Marina, Tradewinds Marina, West Basin Marina and Yacht Basin Company, according to The Maryland Department of Natural Resources. 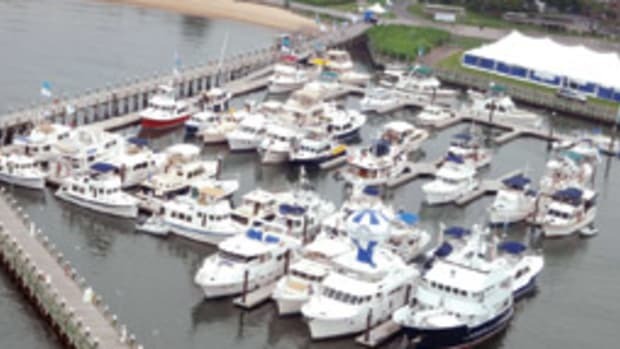 To receive certification a marina must meet its regulatory requirements as well as implement a significant number of recommendations from the Maryland Clean Marina Guidebook in areas such as sewage handling, waste containment and disposal and marina management. Keith Colburn, captain of the F/V Wizard on The Discovery Channel’s “The Deadliest Catch,” is joining with the Coast Guard to promote life jacket and recreational boating safety. 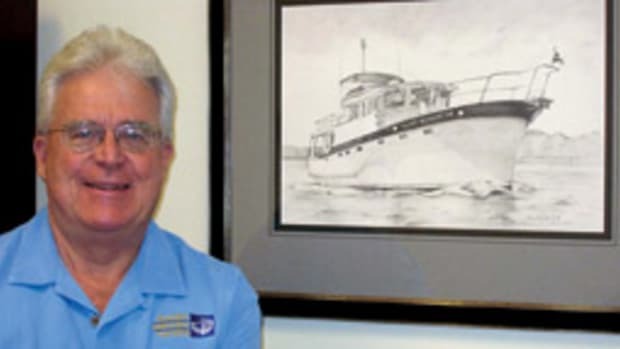 Colburn is the official spokesperson for the Coast Guard’s “Boat Responsibly” initiative, and will be appearing in a series of public service announcements as well as promotional activities across the country, according to the Coast Guard. Jeppesen Marine released its spring 2009 C-Map electronic charts for North America. The latest editions include new port plans, Notice to Mariner changes from official hydrographic office sources, and aerial photographs of harbors and marinas. The updated aerial photography provides boaters entering an unfamiliar harbor with additional visual references for navigation aids, landmarks, topographical features and detailed layouts for marina berths, according to the company. The spring 2009 cartography release is available for C-Map MAX and NT+ charts. For more information, visit www.jeppesen.com. Boaters can help rescue and shelter dogs by sending in a photo of themselves with their furry first mate. The Safe Haven Systems will make a $25 donation to the dog rescue group or shelter of the owner’s choice if the owner sends in a photograph of their four-legged friend with their Safe Haven Systems boatlift. Boatlift owners can e-mail or mail their picture to Safe Haven Systems with their name, dog’s name, location and local group or shelter they want to support. Safe Haven Systems plans to display these photos on its Web site. Rogerson and his wife are involved locally in Low Country Golden Retriever Rescue group, based in Johns Island, S.C. Safe Haven Systems feature a simple patented lift design that can be operated using only one hand. 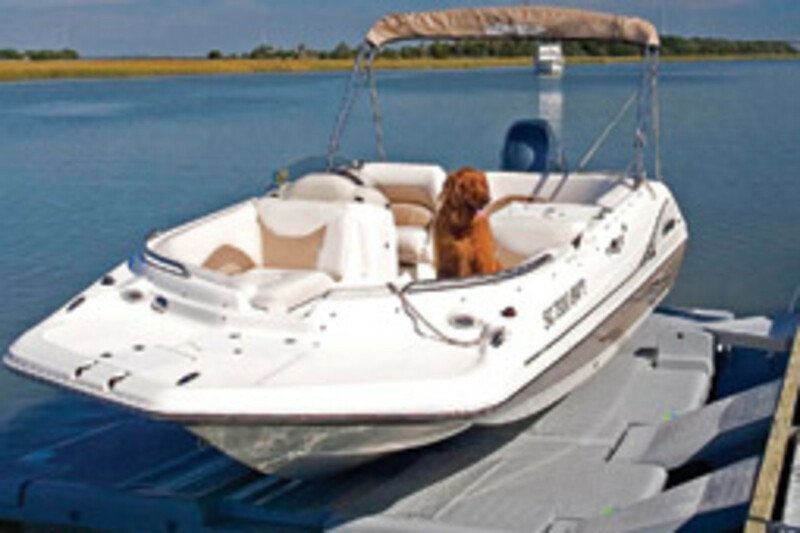 For information, visit www.safehavenboatlifts.com, or call Safe Haven Systems toll-free at (877) 734-2836. The Chesapeake Bay Oyster Restoration Programmatic Environmental Impact Statement has decided to pursue a native-only oyster restoration strategy. The Maryland Department of Natural Resources submitted a proposal April 3 for federal stimulus funds in the amount of $10 million to fund oyster-related projects. The proposal included projects to recreate and/or replace natural/ alternative oyster reef substrate, produce and plant oyster spat and enhance hatchery productivity, and monitor oyster populations and water quality. 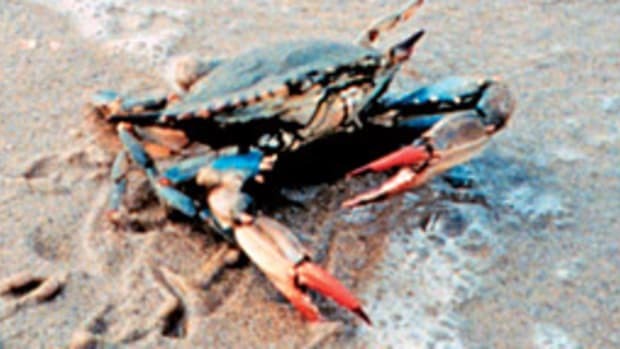 Maryland currently has $5 million slated for oyster projects during fiscal year 2009. The funds will be supplemented with contributions from federal partners, including $1 million through the Army Corps of Engineers and $2.6 million from NOAA through the Oyster Recovery Partnership. The final impact statement is scheduled to be published in late June. A 30-day public comment period will follow publication of the impact statement, with a formal Record of Decision expected to be published in late July. NOAA and the U.S Fish and Wildlife Service have partnered with 23 organizations to ensure the longevity of New Jersey’s Passaic River. The agreement proposes to develop and implement a restoration plan to restore damaged habit in the lower 17 miles of the river. The highly industrialized region surrounding the Passaic has long had poor water quality, sediment contamination and abandoned properties which impair shellfish, wildlife and their habitats, according to NOAA. The companies signing off on the agreement include Benjamin Moore & Co., DuPont, General Motors Corporation, and the Public Service Enterprise Group.